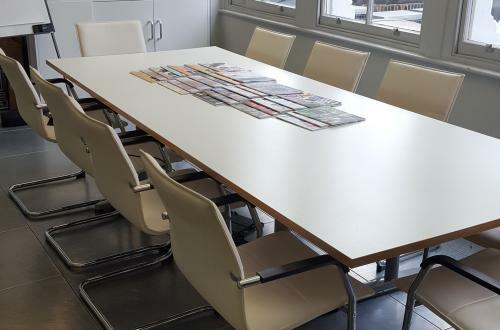 We are a print and digital publishing house, located in Old Street and close to central London. Our building is only 4 minutes away from the Old Street underground tube station and 15 minutes walk to Shoreditch High Street. We are surrounded and spoilt for choice in pubs, restaurants, cafes and delis. We are looking for friendly individuals to join us in our 1846 sq ft office. 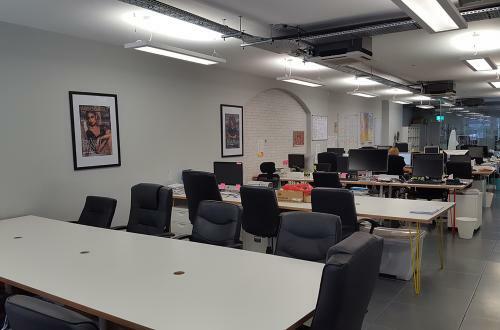 Our available space offers between 15-18 desks, with each desk being at a monthly payment of £190 all inclusive. Computers/Monitors and phone handsets will need to be supplied by yourself. If you are interested in viewing our office please contact Eva.